Hispanic New York is the first anthology to offer a comprehensive view of this multifaceted heritage. Combining familiar materials with other selections that are either out of print or not easily accessible, Claudio Iván Remeseira makes a compelling case for New York as a paradigm of the country’s Latinoization. His anthology mixes primary sources with scholarly and journalistic essays on history, demography, racial and ethnic studies, music, art history, literature, linguistics, and religion, and the authors range from historical figures, such as José Martí, Bernardo Vega, or Whitman himself, to contemporary writers, such as Paul Berman, Ed Morales, Virginia Sánchez Korrol, Roberto Suro, and Ana Celia Zentella. 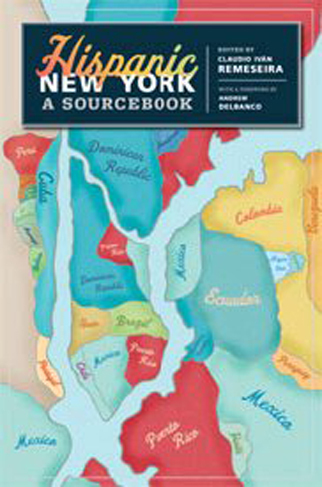 This unique volume treats the reader to both the New York and the American experience, as reflected and transformed by its Hispanic and Latino components.